Aria Torrez has grown up leading a not-so-normal life being raised in an agency of spies and assassins. She is one of the best agents for her age and cannot wait until she gets promoted to a senior level agent (because that's when the real fun with demolition begins). 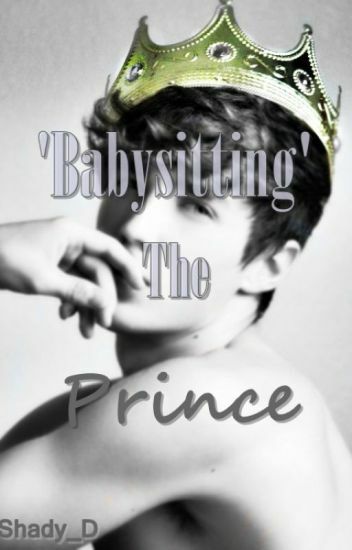 What she did not expect was the latest mission she gets sent on: taking care of a teenage prince (Maximilian) who hasn't been able to stay out of trouble, or in her words 'babysitting' him while she tries to find out who is trying to kill him. But Aria finds that the mission is so much more than what she thought when she finally gets introduced to a normal life, pizza and Maximilian's oldest brother Adrian. Her mission becomes a mix of responsibility, guilt and emotion as she tries to make sense of everything. But can she really protect someone else when she cannot even think straight anymore? Kayla is an expert at finding globally wanted criminals. She knows everything about being an agent. High school? Not so much. When given an assignment to track down Cyrus's father, Dereck, she assumes that her mission will be simple, right? What Kayla thinks is an easy assignment, soon turns out to be her most challenging yet. Her life suddenly becomes packed with danger, drama, action... and a cute bad boy who can't seem to leave her alone. Will she manage to complete her assignment? Most importantly, can she keep her identity a secret? She can easily kill you. The life Chloe Rivas had before her sixteenth birthday seems like someone else's,  and perhaps that is the truth: there are two versions Chloe. The bubbly teenage girl dealing with boy problems and strict parents. And the cold hearted assassin dealing with death and an evil boss. You wouldn't recognize the girl she was before she got taken away and put in a team with the two guys she would die for, the team is her family now. She has done missions week in week out, like a routine. Until that routine got rudely broken by a new teammate: Drew Matthews. His arrival sparks something in Chloe that she thought had left her years ago: love (and hate, let's be fair). But the presence of the mysterious new teammate is nothing, nothing, to what mission is to come. Death was always on the corner for Chloe, but this mission brings her face to face with it. Ryan works for the L.U.X or Law Undercover X'change and now faces her biggest mission yet; pose as a normal, teenage, good girl. Of course she's not doing it alone, eighteen year old Braiden Winters is going to be there. Will Ryan be able to complete her assignment without being overcome by the new feelings, people, and drama she encounters? This book isn't just Action there's also some romance.😉 Ranked number 1!! in Government and 5 in abusive content!! 5 year old Hannah had a normal life. That was until her parents were murdered. 12 years later, Hannah is back for revenge. She is a recruited agent and is looking for the people who killed her parents. She won't stop until she kills the people who killed her parents. But, that was before she experienced love. Join Hannah on an amazing adventure and find out what happens when she experiences love along with revenge. She can have both right? But then again, life is all about choices. "How does she kill, then? She's an assassin, and one that's deathly afraid of drawing blood. How is she even an assassin in the first place?" V growls at Jungkook's condemning tone, tightening his grip on my figure. Hannah Lewis hasn't had the easiest start to life, being born to parents that absolutely hate the fact that she exists. Without much explanation, she's lost the one person that ever really cared about her and has grown up with vast amounts of abuse and a couple of suicide attempts. As Hannah tries to find jobs and ways to keep her mother and her mother's current boyfriend happy, she begins to make more friends and gain more interest than she feels comfortable with, including some interest from the new teacher at her school that looks surprising familiar. But more interest means more questions about the bruises on her face that Hannah doesn't want to answer and no matter how much she tries to hide things, people just keep getting closer and her situations seem to keep getting worse. Courtney Smith was a regular little girl. But when a mystery man comes and kills her parents in front of her when she was 5 years old. She learns about there past and learns that there are secret agents. As she grows up she becomes a secret agent. So to keep her cover she becomes the nerd at school. She is the quiet little girl who everyone picks on. But what happens when her cover is blown by none other than her biggest bully Derek. He was the golden boy at school. He was the player that all girls fell head over heels for. Will they find love between them or hatred from all of the years of bullying. And what happens when Derek becomes her new partner. Will they rip each others head off or will they see each others differences and become friends or maybe even more. Read and find out in " The Nerd Is An Agent"
At the age of six, my family gave me up to an agency called Red Cipher. Red Cipher trains kids when they turn six all the way up to the age of 15. At the age of 15, we are allowed to go on missions no matter how difficult and dangerous it is because we are now titled as an Agent. I was chosen by the head of the Agency to be the assassin of my class. I was trained harder and longer than all the rest of my classmates. It was incredibly hard for me because on top of all of my long hours of training I still had classes so I could learn everything my classmates had learned earlier in the day when I was training. I had to train with every other picked assassin out of lower and higher classes. On most days I was pulled out of both classes to work with the Head of the agency, so I guess you could say that I was trained by the best to be the best. At Red Cipher were taught that your fear can and will get in the way of a mission. We're trained to not fear at all but at the end of dangerous missions, I hear others talking about how they had a fear of never making it back to see their friends. I never could compare to them because dying was the circle of life and it didn't bother me if I were to die because at the end of every day I never had my family with me, there was never me fearing to leave them because they left and gave me to this agency. Raiden Scott is feared by everyone at Red Cipher, well all except Keira. Raiden Scott is a powerful man. Raiden is the leader of the biggest most powerful gang in the world called Night Bloods. Keira is supposed to get as much information as she can from Raiden's gang but she already knows everything about them considering the fact that she used to date Raiden. Raiden had no clue that Keira was a Red Cipher agent at the time of them dating but when she gets sent off on this mission he has already figured it out what she is. A girl with a history that can drive a person mad dives her ford to be the to undercover spy at IAAU. She is the top of the field agents and also the best in the interrogation rooms. They say her eyes are so green and strong the criminals or whomever they are interrogating cave almost instantly. She is fire. Nobody gets in her way. With a history like hers you can only expect the worst but she brings out her best to the table. What happens when her boss Mat gives her a job she won't forget. She is a student at East high school. Wounds will be opened, walls will be built, hope will be discovered, love will be tested. But always remember nothing as it seems. Trust no one. Sleep with one eye open. And hold on tight when the rollercoster comes. Most of the chapters are short but there will be lots of them. And please excuse the grammatical errors to my book. I just finished it and I'm in the process of editing everything. But what will happen when she finally discovers her true self with the help of the strongest gang leader in the country?